Cool! 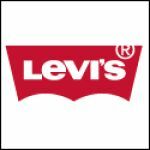 Save an average of 20% on Levi with 9 Coupon Codes, and 33 Deals! Details & Exclusions: Save 20% off your purchase. Plus, free shipping on your order of $100 or more. Restrictions may apply, see merchant for details. Expires on 01/31/2014. Exclusions: Only one promo code per order will be accepted. To redeem in-store, present coupon to sales associate at check out. Coupon must be relinquished at purchase. Offer valid through 11:59PM ET on 1/31/14 at us.levi.com, Levi’s® Stores and Levi’s® Outlet Stores in the United States only. Third-party collaborations, Levis® RevelTM, Levis® CommuterTM, Made and Crafted, LVC and vintage product excluded. Also excludes taxes, gift certificates, wrapping and packaging charges. Non-transferable. No adjustments on previous purchases. May not be used in conjunction with any other coupon or for gift card purchases. LS & Co. employees not eligible for discount. This offer may be modified by LS &Co in its sole discretion without notice at any time. Details & Exclusions: Surprise discount when you enter the coupon code after you place items in your cart - includes sale items. Excludes regular priced Levis Commuter and Levis Revel products. Expires on 11/03/2013. Exclusions: Also excludes taxes, gift certificates, wrapping and packaging charges. Details: Take an extra 30% Off Sale Items. Expires on 01/08/2014. Details: Save 30% off your purchase and receive free shipping. Expires on 12/11/2013. Details & Exclusions: Enjoy 15% off Sitewide, Including Clearance. Plus, free shipping on your order. Student Registration Required. Restrictions May Apply, See Merchant for Details. Expires on 12/31/2015. Exclusions: DISCOUNT EXCLUDES LEVI'S® COMMUTER, LEVI'S® REVEL, AND CANADA GOOSE PRODUCTS. DISCOUNT ALSO EXCLUDES GIFT CERTIFICATES, PACKAGING, TAXES, SHIPPING AND HANDLING. Details: Shop Final Sale and Enjoy Up to 50%+ Off. Restrictions May Apply, See Merchant for Details. Details: Shop Select Women's Jeans for $50 and Under. Restrictions May Apply, See Merchant for Details. Details: Take 20% Off One Regular Priced Item Plus Get Free Shipping. Expires on 12/03/2013. Details: Friends & Family Sale! Save 30% off your purchase with code. Restrictions may apply, see merchant for details. Plus, receive free shipping. Ends 10/21/13. Details: The Weekly Picks: Boyfriend Fits. Shop Tanks, Hats, Scarfs and More Starting As Low As $28. Plus, Get Free Shipping On Orders $100 Or More. Limited Time Only. Details: Receive Free Shipping on your next order by signing up for the newsletter. Details: Styles For Tots! Shop Select Kid's Styles Under $20! Limited While Supplies Last. Details: Shop Levi's New Liberty Collection Featuring Iconic Pieces Featuring Exclusive Prints Designed For Liberty. Enjoy Free Shipping On $100 Purchases! Details: Summer Wardrobe Shopping! Browse Women's Clothing and Accessories under $25! Limited Time Offer. Details: Free Shipping on your Next Order after signing up for the newsletter. Details: Up to 70% Off Select Items + Free Shipping on Orders $100+! Details: Student Discount: 15% Off Sitewide including Sale items! U.S. students only. Details: Sale: Get up to 50% off select items plus Free Shipping on orders $100+! Details: Mens Jeans starting for $37.90, Womens Jeans starting for $39.90 Limited time only. Details: Take 20% Off Orders of $100 or More or 30% Off Orders of $150 or More, Plus Free Shipping on $100 or More. Expires on 2/18/14. enter to win $250 at levi.com! Details: Enter to win $250 at Levi.com! Details: Semi-Annual Sale - Up to 50% Off Mens styles. Limited Time Only. Details: 20% Off orders $100+ or 30% Off orders $150+ plus Free Shipping on $100 orders. Expires on 02/18/2014. Details: Free 2 Day Shipping when You Pay with PayPal. Excludes P.O. boxes and APO/FPO/DPO addresses. Ends 11/15/13.